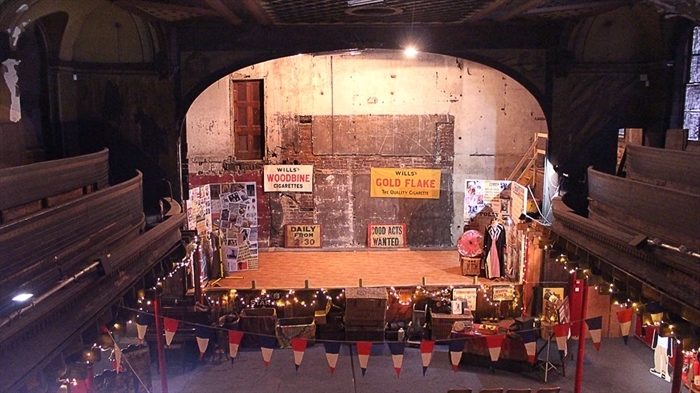 The worlds oldest surviving music hall, Now with the recently restored 1920's stage! 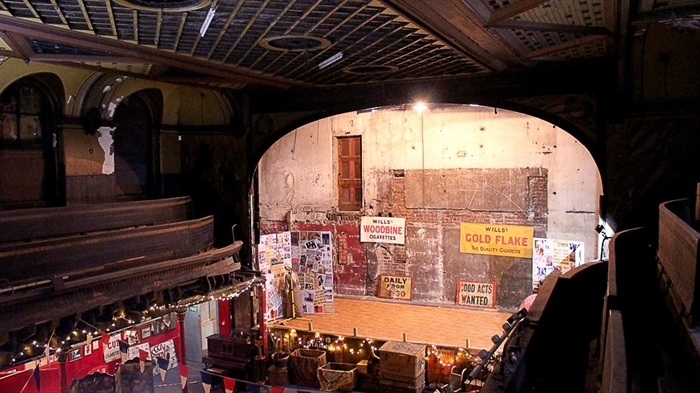 Built in 1857, the Britannia Panopticon stands as testament to Glasgow's bawdy, saucy and lewd entertainment history. The Britannia opened in 1857 to entertain the workers in the industrial capital of the world. 1,500 people flocked in for every show up to six shows a day. 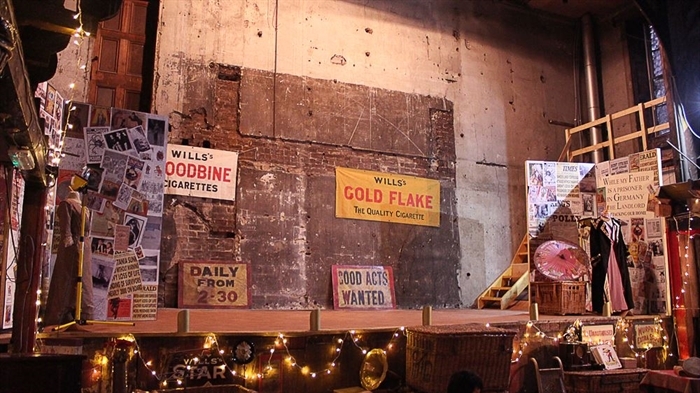 Over the years all the greats of the Scottish and London music hall stage appeared there including Dan Leno, Harry Champion, Charles Coburn, Marie Loftus, Vesta Tilley, Ella Shields, Jack Buchanan, Harry Lauder, Archie Leech (Cary Grant) and most famously, Stan Laurel who made his debut there in 1906. In 1896 moving pictures were added to the bill of fare and in 1906 a Yorkshire showman, A.E. Pickard, became the new manager and added an attic carnival, wax works, freak show and zoo to the entertainments and renamed the building “Panopticon” (to see everything) AKA the Pots and Pans. The Britannia Panopticon entertained the citizens of Glasgow for over 80 years but sadly, by 1938 it was too outmoded to accommodate modern cinema and variety and it was closed and hidden above a false ceiling. For over 60 years it lay unloved and forgotten (save for the chickens who were farmed there during WW2 to provide fresh eggs during the war), until 1997 when Judith Bowers persuaded the owners of the building to let her in. She fell in love with the old music hall and since then, with the help of an amazing group of trustees, volunteers and the Friends of Britannia Panopticon the music hall is once again open to entertain with traditional music hall shows, classic cinema nights, comedy, fairs, exhibitions and much more... Britannia Panopticon is a real hidden gem and a step back in time to the Victorian city. We have now successfully restored the 1920's stage and preseved the existing 1857 platform which lies underneath, our next phase of work being to restore the balcony front. 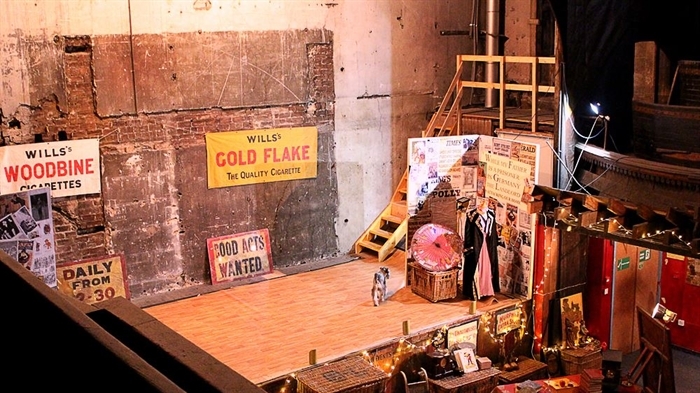 Admission is generally free to the music hall but we do ask that visitors leave a donation to help further the campaign to fully conserve and protect this invaluable vessel of entertainment and social history. 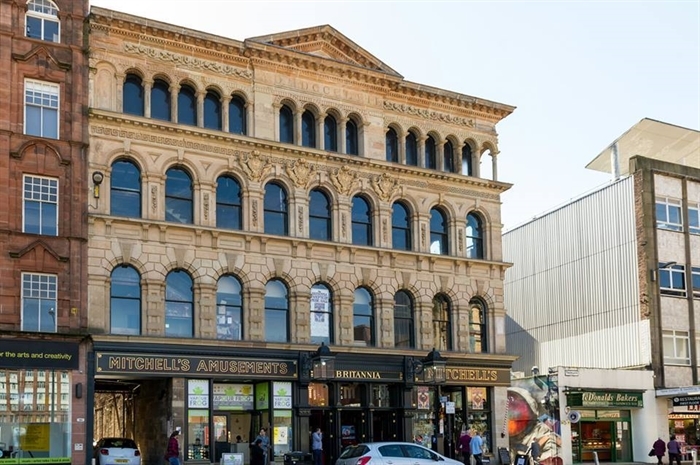 For more information about Britannia Panopticon’s history, opening hours and campaign please visit our website www.britanniapanopticon.org or our charity shop at 49 High Street, Glasgow. You can also follow us on twitter and facebook.